Disclosure: This post is sponsored by PetSmart® and the BlogPaws® Pet Influencer Network. 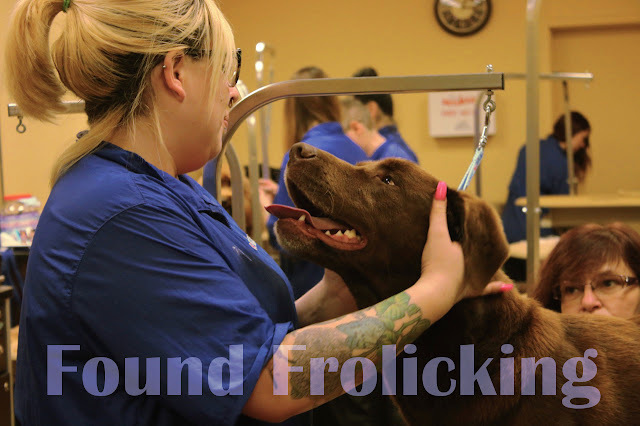 I am being compensated for helping spread the word about PetSmart Grooming Salons, but we only shares information we feel is relevant to our readers. PetSmartis not responsible for the content of this article. If there's one word I'd use to describe my typical day, it would be: hectic. Occasionally (who am I kidding?) "chaotic" would be a more suitable word. Just getting my two little ones out of the house in the morning is a task that in theory takes 20 minutes, but inevitably requires 2 hours of running back and forth doing this and that, and trying not to forget anything before we drive off. Most mornings, I'm lucky if I'm able to hop into the shower and shovel something or other that vaguely resembles food before hurrying off to run errands or make it to an appointment on time. What to speak of bathing our poor dog, Copper. But where to find the time? Recently I've discovered that there is a wide range of grooming services offered by PetSmart®. You can customize packages and even add on additional services to cater to the needs of your dog... without breaking the bank! They even have a Bath & Brush Package for puppies! 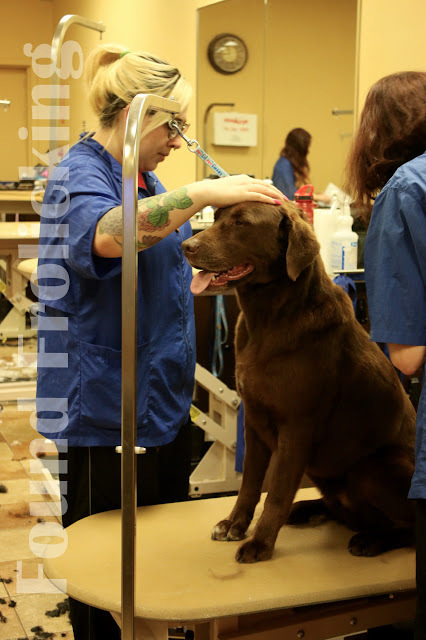 Nail trims and teeth cleaning are just the beginning when it comes to grooming options at the PetSmart Grooming Salon. PetSmart pet stylists can even do chalking, stenciling, feathering, jewels, and dog nail polish or nail stickers. 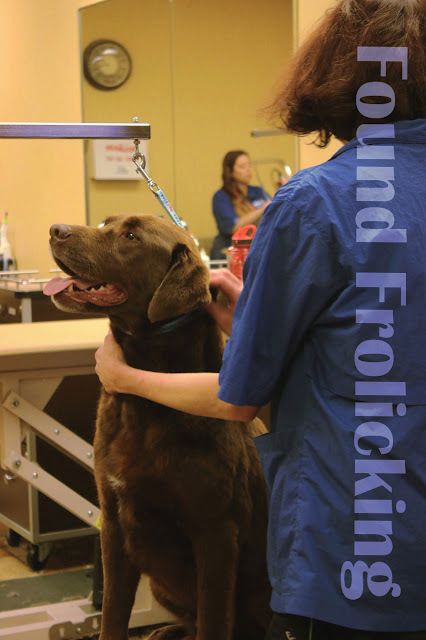 In anticipation of Copper's first experience with grooming services (ever! ), I called the PetSmart Grooming Salon to set up an appointment. I was placed on a brief hold, and then was easily able to set up a time to take Copper in on my preferred day at a time that worked for us. Since it would be Copper's first time, I was kindly asked to bring in a copy of his vaccination record to verify that he was up to date on his rabies vaccine, and that was that! Easy as pie. Although I was a little apprehensive because it was all new to us, I needn't have worried. Copper was right at home from the get-go, eating a biscuit while he was waiting for the groomer to be ready to take him to the back for his bath. Based off the recommendation from the groomer, we settled on a Dog Bath and Brush with FURminator® package, with the addition of nail trimming. I didn't know what to expect, but I was really interested in the package I decided on and was eager to see the results. Knowing that I was unfamiliar with the process, Copper's groomer was extremely nice and accommodating, and went out of her way to make it a fun experience for me, too! Imagine my astonishment when she stepped out briefly during his bath to give me a visual example of how effective the bath with FURminator® is, and her hands were coated in his hair (picture below). While Copper was drying off so he could be brushed, the groomer came out during her break to talk to me about her experience at PetSmart as a groomer. 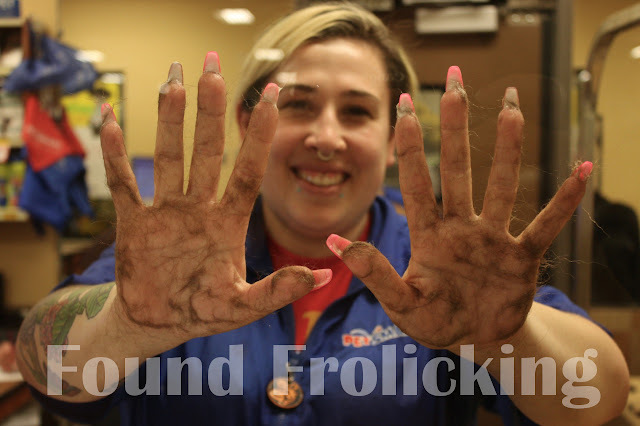 It was great to hear that she enjoyed her job, and I was surprised by how many dogs each groomer may see each day during a busy period. 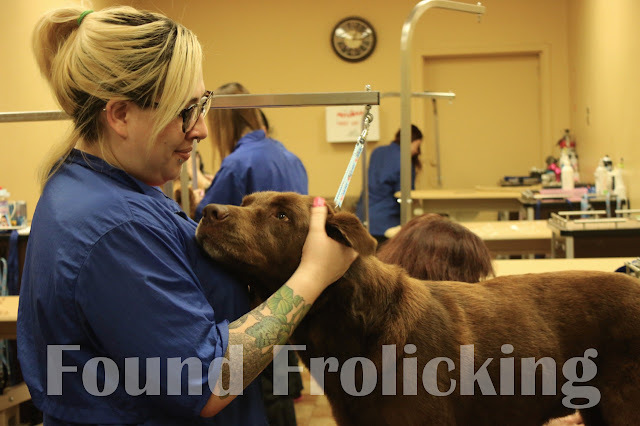 I was very impressed by her general knowledge of dogs, and the more specialized knowledge she's gained working as a groomer. For example, I had no idea that the pet stylists at the PetSmart Grooming Salon are academy-trained. When it was time for Copper to be brushed, he was such a pro! 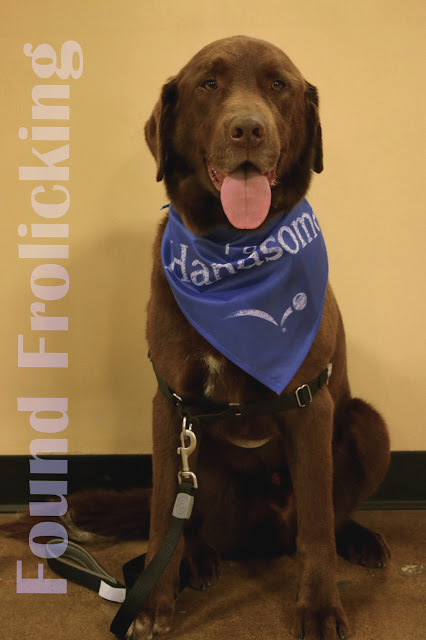 The groomer who had been working with him had the assistance of another excellent groomer. I declared the whole experience a great victory before he was even finish because Copper melted in their arms as they cooed at him and scratched him behind the ears. It was clear that they'd won him over, and that won me over, too! Call today or use the store locator online to book an appointment at a PetSmart Grooming Salon near you! A photo of Copper after we just arrived for his appointment---and right after! Getting ready to take Copper to his first grooming experience at PetSmart Grooming. Just an idea of the amount of hair that came off of Copper during his bath! The brushing begins---and Copper's loving it. Having his neck brushed. Can you tell Copper doesn't mind? As you can see, Copper adored his groomer! Copper looking at his groomer adoringly... Seriously, I only see that face when I feed him! Almost done! Copper's on the home stretch of his great trip to the PetSmart Grooming Salon. Completely happy and thoroughly cleaned. Copper looking handsome after his grooming experience! Disclosure: This is a sponsored conversation written by me on behalf of PetSmart . The opinions and text are all mine. I received services and other forms of compensation to facilitate this content. All opinions expressed are my own, and were in no way influenced by the brand or any other sources. The post and all photos with the watermark are the property of Found Frolicking, and should not be used or distributed in any way without first receiving permission. Cooper looks like he had a great time! WOW! Thanks for sharing. We just brought home four puppies and I need all the grooming tips I can get! Oh my gosh. He is so handsome! It also looks like he LOVED the grooming! I hear you on the whole "chaotic" thing.... I have two crazy kids, and I actually work with moms to help them ditch that overwhelm and find more peace and balance in their lives. 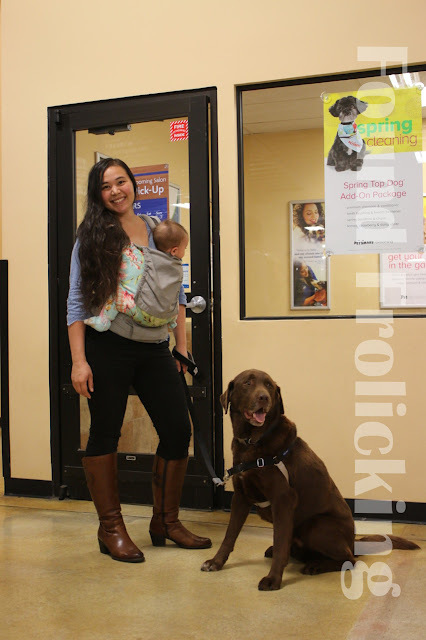 It's nice to know that PetSmart has something that helps moms take care of their fur babies too... without adding extra stress to their lives. Hectic and chaotic sum up my days most of the time too. Copper looks like he had a good day though! I think it's time to gift my bestie with this grooming idea. She's been wanting to find something for her pet for a while. Thanks! What a handsome boy, Cooper! 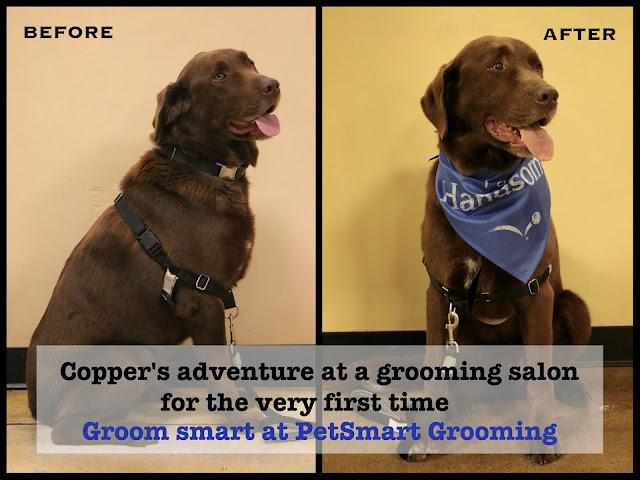 It looks like Cooper really enjoyed all the attention he got while being groomed at Pet Smart. He was already handsome but looked so stinking cute sitting there with that scarf on his neck! Cooper looks like he had a good time. It is always a good sign when the dog enjoys being at the groomers. 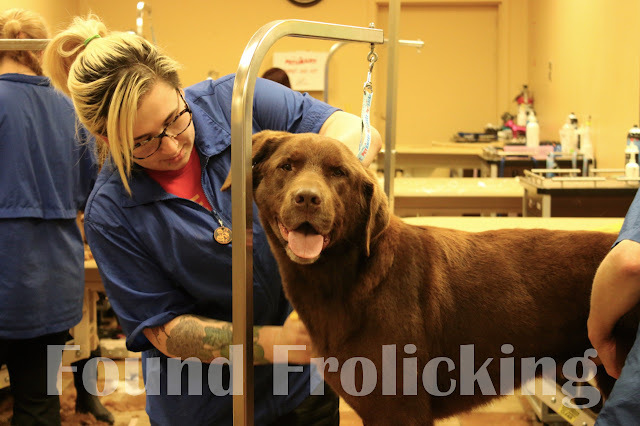 These groomers look so caring and professional which helps pets feel comfortable and relaxed. They did an awesome job with Cooper! Your dog is so cute. He/she deserve to treat like that. It's not bad if sometimes we gave a time and a treat for our bestfriend. What a cute little boy you have! We have a cocker spaniel, but he barely sheds. Although, his hair does get pretty long so he needs a good groom about every six weeks or so. We just got his teeth cleaned and they had to shave his leg so now I need the groomer to even him out. Cooper is a beautiful dog. It looks like PetSmart did a great job grooming him.